Looking for gifts to suit everyone on your list? We have you covered! Find the perfect present for this season, no matter your budget. This Best Seller Guide will guarantee that you'll win the holiday with the ultimate gift ideas that enable independent living. We've researched and picked the most coveted seasons gifts for 2017 that sure to deliver joy and gratitude! Guess what... there's more! 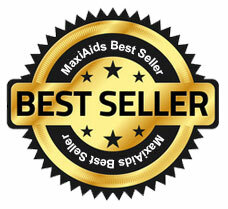 See our complete list of Best Sellers while stock lasts.